We went big this year. 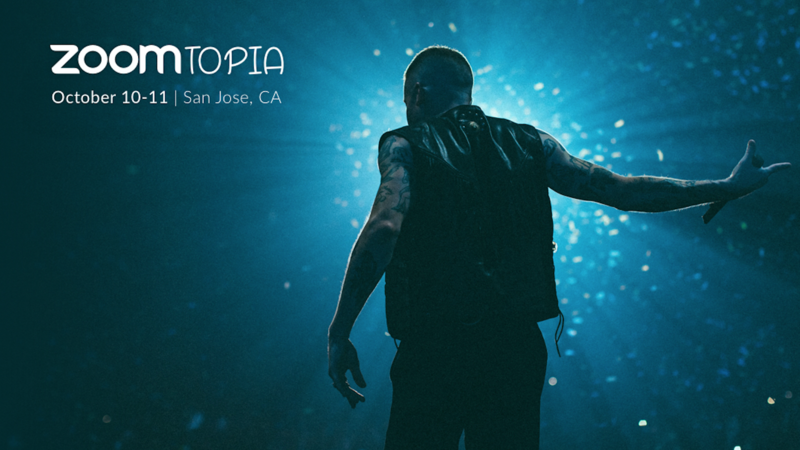 The headline entertainer for Zoomtopia 2018 is none other than rapper songwriter Macklemore. Collectively Macklemore’s music videos have been viewed over 2.7 billion times and he is one of only two rappers to have a Diamond-certified single. Macklemore released his first solo effort in 12 years, ‘GEMINI, in September 2017. It debuted at #2 on the Billboard Top 200 chart and #1 on the charts for Rap, R&B/Hip-Hop, and Independent Albums. ‘GEMINI includes singles “Glorious” (featuring Skylar Grey), “Marmalade” (featuring Lil Yachty), and “Good Old Days” (featuring Kesha). The album follows two releases with producer Ryan Lewis: the multiple-GRAMMY award winning album ‘The Heist’ (featuring hit singles “Can’t Hold Us,” “Thrift Shop,” and “Same Love”) and 2016 release ‘This Unruly Mess I’ve Made’ (featuring Platinum-certified single “Downtown”).